Readers familiar with the names above - Fr Marsden, Fr Schofield, Francis Davis - will know that these are terrific, orthodox Catholic writers. Furthermore, Fr Schofield celebrates the Traditional Mass in his parish. Mgr Loftus actually used his column to attack Fr Marsden's column by name. And there are more good writers, in the Catholic Times. The permanent presence of Mgr Loftus cast a shadow over the paper which has now lifted. I wish the Catholic Herald would pluck up similar courage to cut its ties with regular writers who, like Loftus, seem to be left over from a former, darker, era. The Catholic Times is shortly re-launching as a tabloid. I never thought I'd say this, but I think it deserves our support. It so happens (perhaps not by chance) that Loftus' very last column was quite a nasty attack on those attached to the Traditional Mass, and I wrote a letter in response, something I've not felt motivated to do for a long time. It's not published this week, and I don't suppose it will be now, the moment has passed, but for the record I post it below. I'm not going to spend ages copying out chunks of his column to prove I've not misrepresented him; I just leave it here as a reminder of the problem Loftus represented. 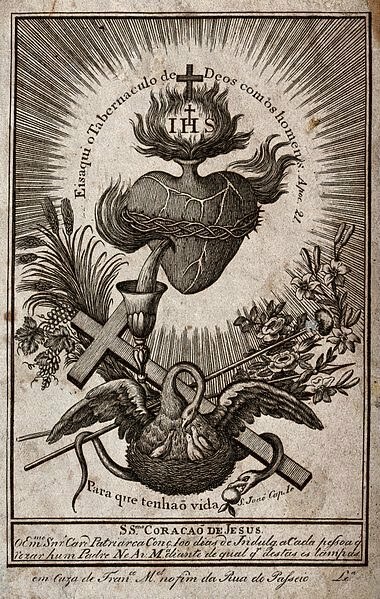 Happy feast of the Sacred Heart to all my readers! This may sometimes be the case, but he would do well to refresh his memory of the principles set out by the Second Vatican Council: ‘Even in the liturgy, the Church has no wish to impose a rigid uniformity’ (Sacrosanctum Concilium 37) and ‘let all… enjoy a proper freedom, … in their different liturgical rites... they will be giving ever better expression to the authentic catholicity and apostolicity of the Church’(Unitatis redintegratio 4) Pope St John Paul II declared that a ‘genuine plurality of forms’ is ‘the Church’s ideal’ (Orientale Lumen 2). 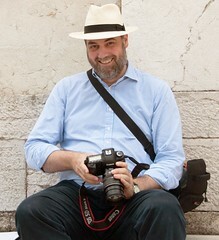 It is worth pondering the last point: that the universality, the Catholicity, of the Church is not weakened, but manifested and strengthened by liturgical pluralism, and, yes, by the fidelity to tradition common to the Eastern Churches and to those, in the West, who preserve the ‘treasure’ of the ancient Latin Mass. Of course, Msgr. Loftus DOES manifest some genuine difference of belief - not just with us, but with the perennial Catholic faith. But even so, it is always enjoyable to hoist him with his own conciliar petard. Well done. Your headline "Loftus Farewell" threw me at first> But then, as I read on, you were not referring to his departure to another life but just his journalistic departure. I have not read anything that he has written in the Last fifty years but I am aware of his reputation. My particular interest was aroused since I once knew him quite well. We were in the same class at school and hence we are about the same age and I am fully aware of my own mortality especially since a very large number of my schoolday fraternity are no longer with us. I'm sorry to say that Loftus is correct in the first of the comments you attribute to him. Liturgy and belief are intrinsically linked and I thought all those calling themselves 'traditionalist' agreed on that point? 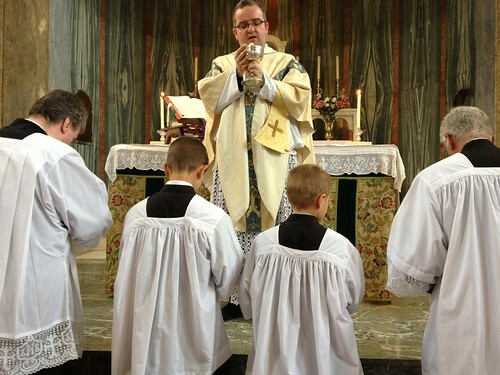 Attendance at the True Catholic Mass should involve a rejection of the errors of Vatican II and the Novus Ordo, otherwise it is a mere matter of personal preference. Do you really believe that the Catholicity of the Church is strengthened by the Novus Ordo service? I rather suspect that the final removal of Mgr Loftus column may have less to do with his views and more to do with the fact that over the last couple of years he has become an excruciaitingly boring writer merely repeating the same points week after week after .... I think most editors can forgive heresy but not boredom, Mgr Loftu had definately got his needle stuck and for that reason alone he needed to go, frankly I won't mourn his departure.